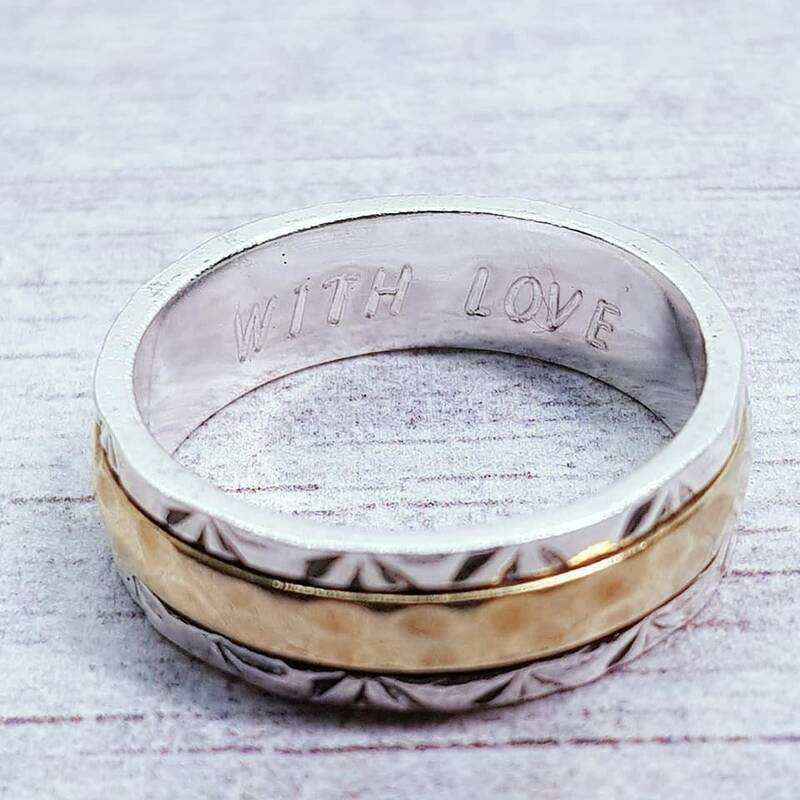 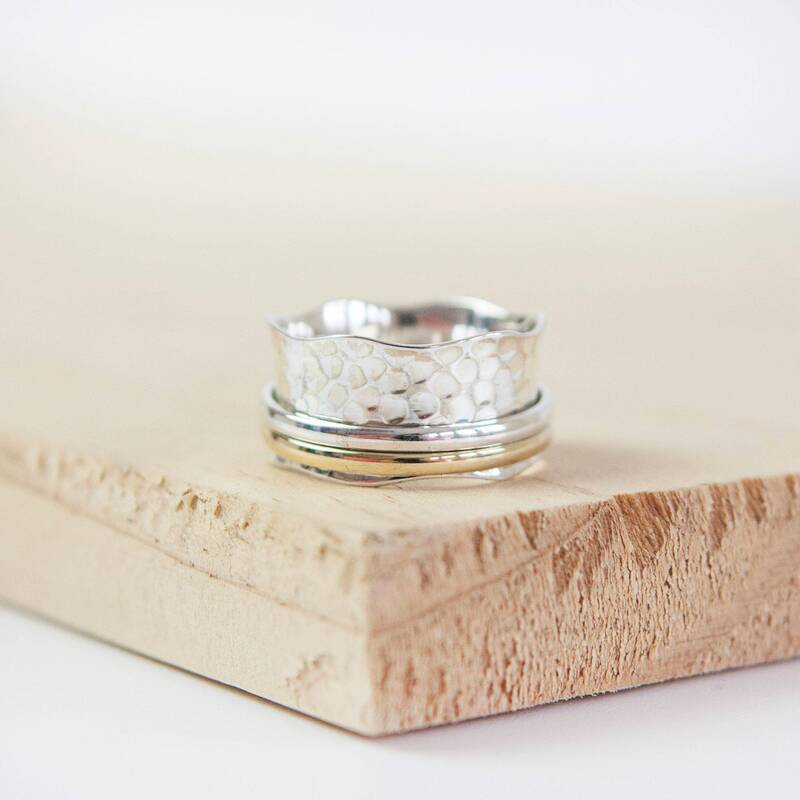 A hand fashioned hammered sterling silver band is encircled with movable silver and brass bands which makes this spin ring impossible to fiddle with. 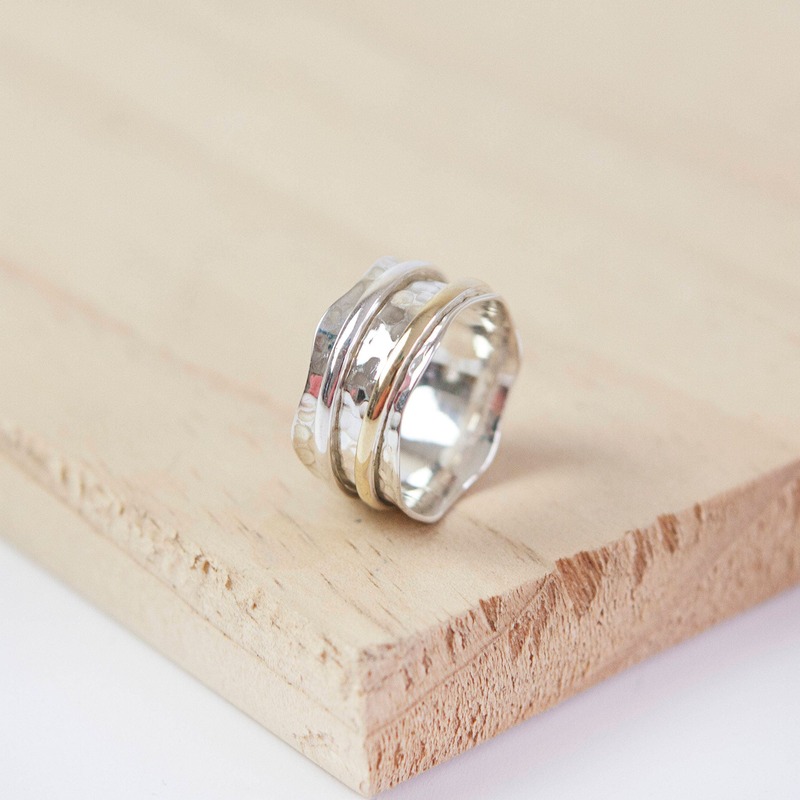 Perfect for those that like something a little wider, but yet still with the contemporary design that makes us unique. 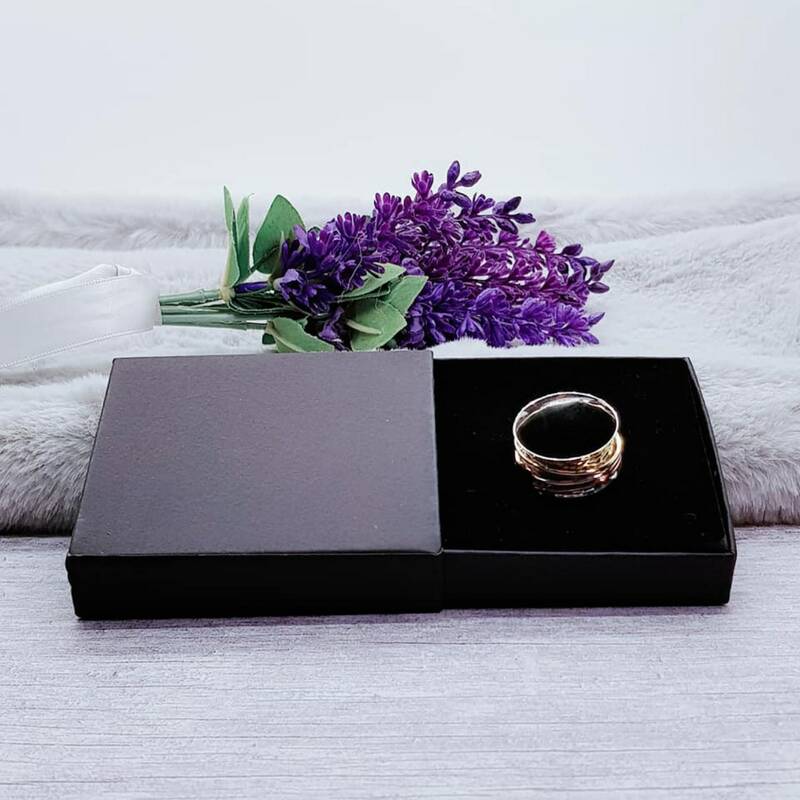 Add a little calmness and serenity into your life with this stunning spinning ring.